The founder of the line Kataoka Ichizô I held this name from 1810 to the 10th lunar month of 1858, then from the 10th lunar month of 1859 to the 7th lunar month of 1862. Dates of birth and death unknown. 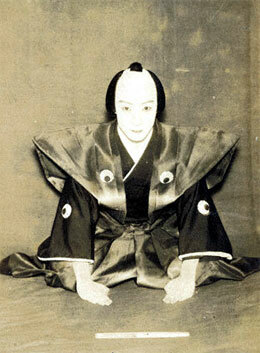 He started his career as a disciple of Kataoka Ichizô I, performing under the name of Kataoka Takizô. 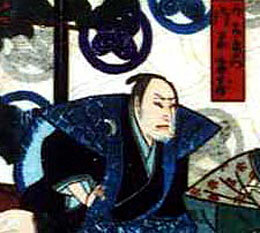 He later on became a disciple of Nakamura Utaemon IV and received the name of Nakamura Hangorô. 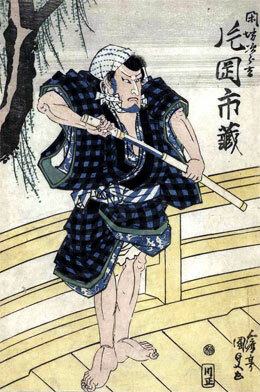 He went to Edo in 1856 and achieved a great success at the Moritaza, playing the roles of Sawai Matagorô and Sakurai Rinzaemon in the drama "Motomishi Hana Bunbu no Norikake". He took the name of Nakamura Kajaku in the 2nd lunar month of 1857 at the Moritaza, playing in the drama "Irifune Soga Nihon no Torikaji". He joined back the Kataoka clan and took the name of Kataoka Jûzô I in the 7th lunar month of 1860 at the Nakamuraza, playing the roles of Haji no Hyôe and Miyoshi Kiyotsura in the drama "Tenmangû Rishô no Kamigaki". He went back to Kamigata in 1865 and took the name of Kataoka Ichizô II most likely in the 3rd lunar month at the Kado no Shibai, playing the role of Tôma Saburôemon in the drama "Tengajaya". His name disappeared from theater playbills before the beginning of the Meiji era. 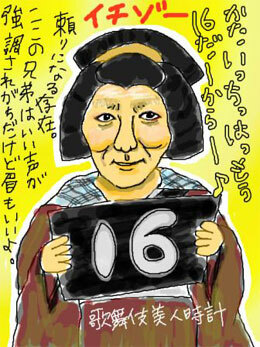 He was mainly a supporting katakiyaku actor. His tsûshô was Kataichi. 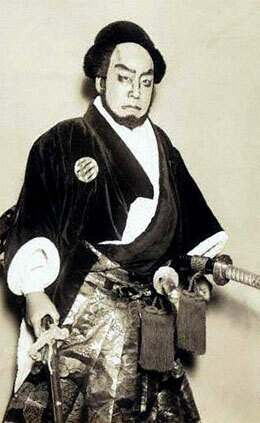 The actor Kataoka Ichizô III held this name from 1877 to December 1906. 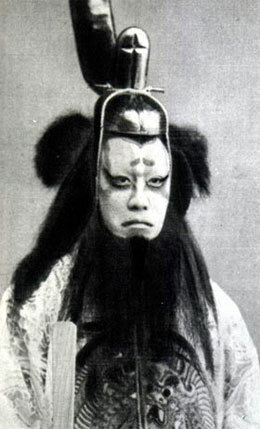 The actor Kataoka Ichizô IV held this name from October 1909 to December 1926. The actor Kataoka Ichizô V held this name from October 1934 to June 1991. The actor Kataoka Ichizô VI is the current holder of the name since May 2003.